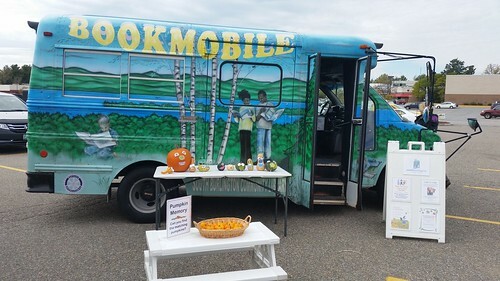 A bookmobile at a farmers' market at a mall in Burlington Vermont. While away at Burlington, Vermont, we happened to stop in a farmers' market that had this charming little book mobile. I don't see these as much from where I live and in truth, haven't been in one since I was a kid, but I found the presence at a farmers' market along with the design and the activities they offered pretty cool. It seems to take up the approach of modern libraries to be more than just a place for books, but an opportunity for activities and learning on all different levels.